Stop in and try them both during PSCW, but also stop in before then because you consider yourself a coffee and tea buff. Happy to be part of Sprudge's first Pittsburgh Coffee Guide, written by (former 21st Street barista and trainer) Rachel Grozanick. Today someone tweeted because they were angry about something that had happened at the shop that wasn’t readily apparent. This is what was tweeted. We are a family owned business who chooses to do things a certain way. Growing up, if I didn’t like a restaurant, store, theater etc my parents would just say “we aren’t going back there.” We didn’t discuss it with the neighbors or write some scathing review in the newspaper (hint: prior to 2006). This was after my mother (the appointed family representative) pleaded her case or asked for what she wanted. We decided only to not return if we were refused what we had hoped to get. If we got exactly what we wanted but had to ask for it or it was presented differently my mom still felt as if she had “won.” If in the end we didn’t want to return, I rarely heard them bashing the business it was more like “oh remember they don’t have your clam chowder, Dom...” “Oh that’s right...” and we carried on. In the past, the condiment area got messy, smelly, and wasn’t appealing, so we thought that we were being nice by chilling it and serving a fresh milk pitcher to each person/group of people. We decided that we would have a coffee with cream (or cream + sugar) option that would be amenable to people. It holds up well to the cream and is taste tested to make sure it has strength and flavor that our customers are looking for. I wasn’t trying to be right with this person. I was just trying to explain our methodology. I’m an engineer and I guess logical and like to explain what I’m thinking when I feel that I’m misunderstood. So the folks continued to temper their response with slightly kinder words but wanted to be right after all and explain how they wouldn’t be back. I feel that these discussions are too common and are downright mean. If you don’t want to have a discussion and you aren’t planning on returning then your words are just meant to hurt! The internet is used to attack instead of for sharing, friending, spreading good things. If you are just there to bully, then simply zip it and don’t try to intentionally hurt someone. I thought that the issue was greater than just our style. We were called elitists, wished bankruptcy, and corrected on our responses when we were simply trying to explain ourselves (initially my responses were concern that someone had made a drink wrong or overcharged them because there was such initial anger). 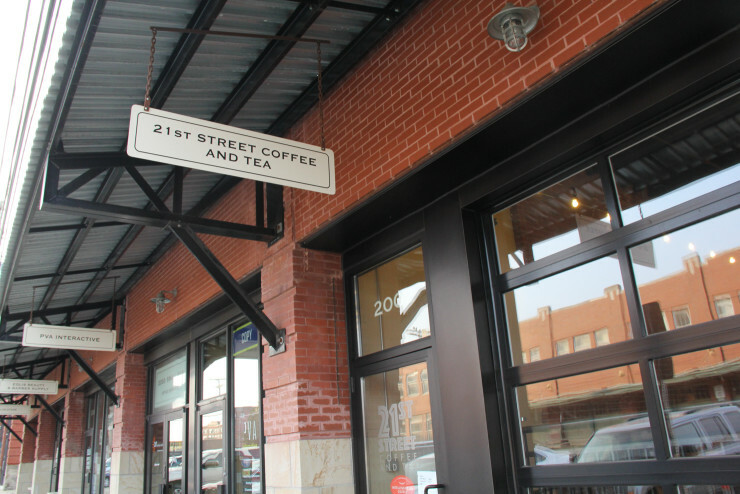 @21streetcoffee You're a coffee shop! Provide the coffee and the creamer without us having to ask... that's annoying. Well I ask you this, if we weren’t all unique and just a little bit different wouldn’t the world be a boring place? @21streetcoffee Why do you do (blah blah) this way? Or even better- ask the person on the other side of the counter, they'll be happy to explain. As some of our folks begin their next semester of school, we are looking to add a part time person to our team. If you are interested please email us! We will get you an application and then we can talk about the next steps.